Pathanamthitta, in Kerala is a town which is filled with spirituality and mysticism to the brim. The place is home to a large number of ancient temples and is considered as the pilgrimage headquarters of Kerala. Pathanamthitta is a land which exhibits untouched beauty filled with pristine rivers, majestic mountain ranges and many coconut groves. More than half of the area of the region is filled with forests and is dotted with temples, rivers and mountain ranges. Considered as a heritage village, the place attracts visitors from across the country and from across the globe for grand water festivals, religious shrines and cultural training centres. One would come across three rivers crossing the rich terrains of the place, comprising of natural divisions of lowlands, highlands and midlands. Pathanamthitta is home to the unique aranmula kannadi or the metal mirrors, which are handmade and has a secret combination of alloys. The place is also home to the Vassthu Vidya Gurukulam, which is a heritage village that gives training in the ancient Indian style of architecture in its purest form. Pathanamthitta is a place which can be visited any time during the year; however, the months from September to February are considered the best times to visit the place due to its pleasant climatic conditions. A natural waterfall which is located in the captivating natural surroundings of the region is Perunthenaruvi Falls. The waterfall is situated on the banks of river Pamba and plunges down from a height of 60 to 100 ft against a rocky bed. The place attracts a large number of visitors apart from locals. One would come across a number of bus services to reach the place from the neighbouring town of Kollam on a regular basis. Konni is one amongst the well-known elephant training centres in the state of Kerala. The place is a major draw amongst locals and tourists throughout the year. One amongst the major attractions here is the huge wooden cages which are used to house the elephants, which are known as aanakoodu in Malayalam and can house up to 4 elephants at a time. Here, one can observe the training process of elephants using traditional methods. The giants are taught to obey specific commands given by mahouts and taken for walks in the morning after which they are given a bath and a huge meal based on specific diets. Dedicated to Goddess Bhadrakali, the temple is believed to be more than 3000 years old. The idol of the goddess is made out of a special combination and measures 5.5 ft in height; the goddess is also known as Idathatill Bhagavathi. Malayalapuzha Devi is offered prayers for protection from enemies and many other things, which are found to have some kind of obstacle. The temple is home to beautiful Kerala mural paintings and stone carvings. One would come across a statue of Parvathi feeding Ganapathi as an infant on her lap. The holy abode of Lord Ayyappa, Sabarimala is located at a distance of 72 km from Pathanamthitta town and is one of the most important pilgrimage centres in the country. The shrine is located amidst dense forests in the terrains of the Western Ghats, which is inhabited by various wildlife species. The temple remains open only for a period 51 days every year, apart from festival days of Onam, Vishu and the annual temple festival. Gavi is an ecotourist spot which gained fame after being listed in the prestigious Alistair International as one of the leading ecotourism centres in the country. 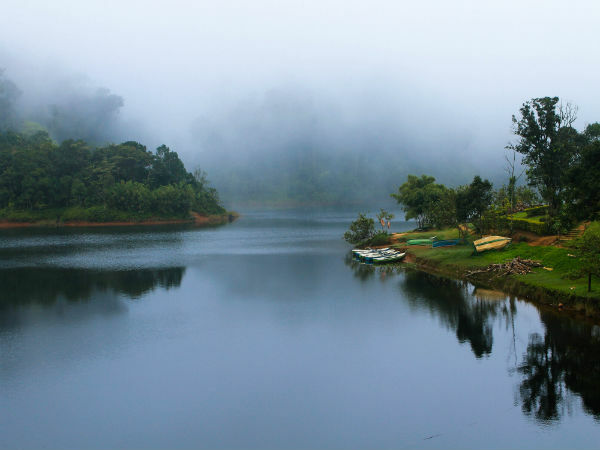 The place is well-known for its wildlife and is the abode of several endangered species, such as the Nilgiri tahr, lion-tailed macaque and many more. Gavi is also home to more than 260 species of birds, such as the great pied hornbill, kingfishers and many more.